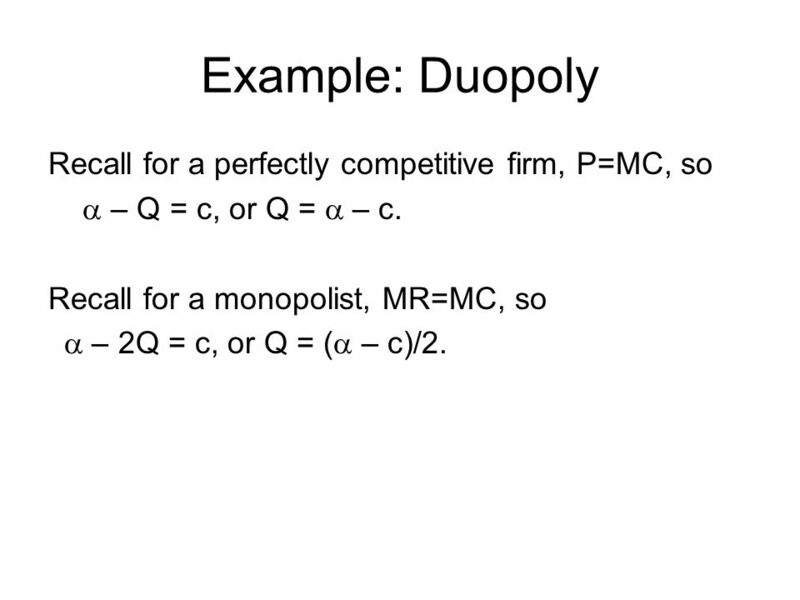 a – Q = c, or Q = a – c. Recall for a monopolist, MR=MC, so a – 2Q = c, or Q = (a – c)/2. 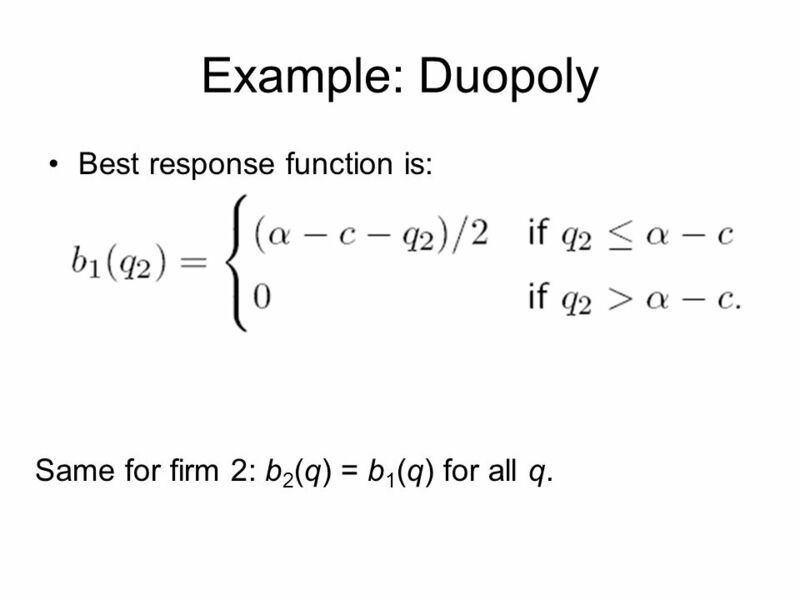 Same for firm 2: b2(q) = b1(q) for all q. 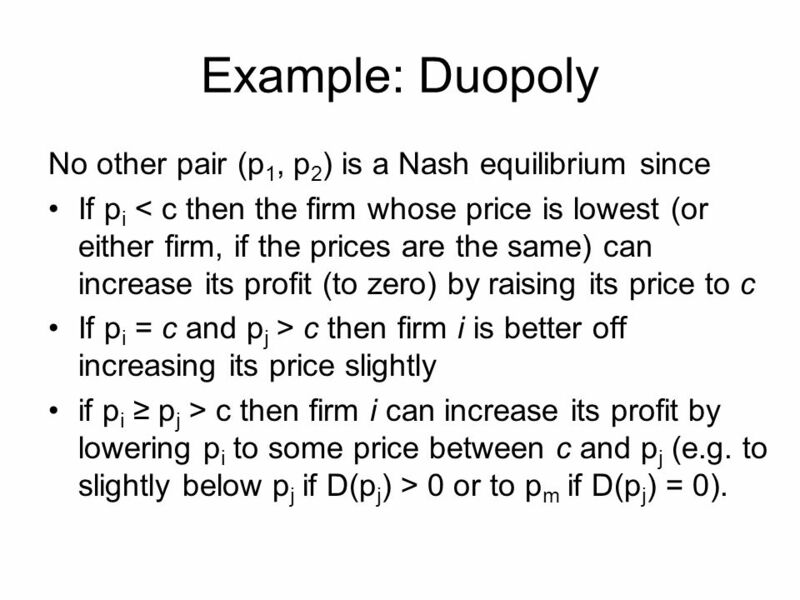 Example: Duopoly Conclusion: Game has unique Nash equilibrium: (q*1, q*2) = (( a - c)/3, (a - c)/3) At equilibrium, each firm’s profit is p = ((a - c)2)/9 Total output 2/3(a- c) lies between monopoly output (a - c)/2 and competitive output a - c.
Example: Duopoly Nash Equilibrium (p1, p2) = (c, c) If each firm charges a price of c then the other firm can do no better than charge a price of c also (if it raises its price it sells no output, while if it lowers its price it makes a loss), so (c, c) is a Nash equilibrium. 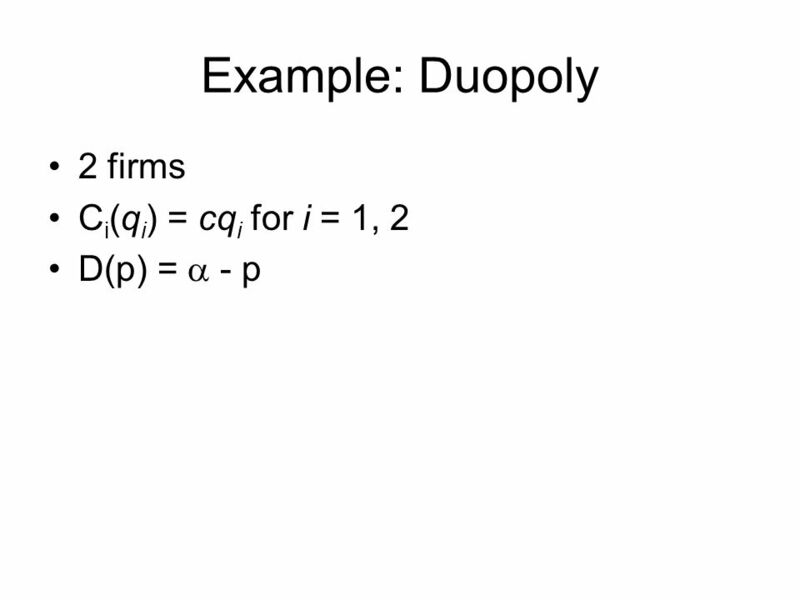 If pi < c then the firm whose price is lowest (or either firm, if the prices are the same) can increase its profit (to zero) by raising its price to c If pi = c and pj > c then firm i is better off increasing its price slightly if pi ≥ pj > c then firm i can increase its profit by lowering pi to some price between c and pj (e.g. to slightly below pj if D(pj) > 0 or to pm if D(pj) = 0). 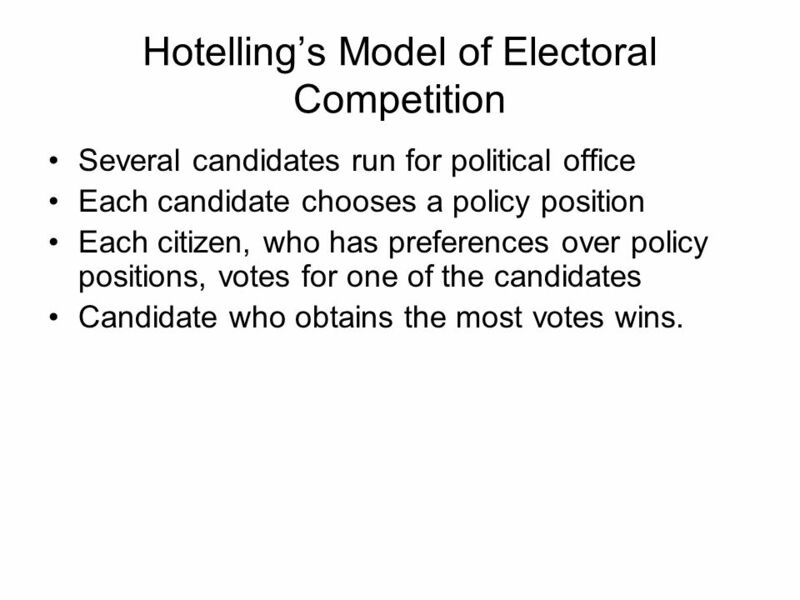 Several candidates run for political office Each candidate chooses a policy position Each citizen, who has preferences over policy positions, votes for one of the candidates Candidate who obtains the most votes wins. 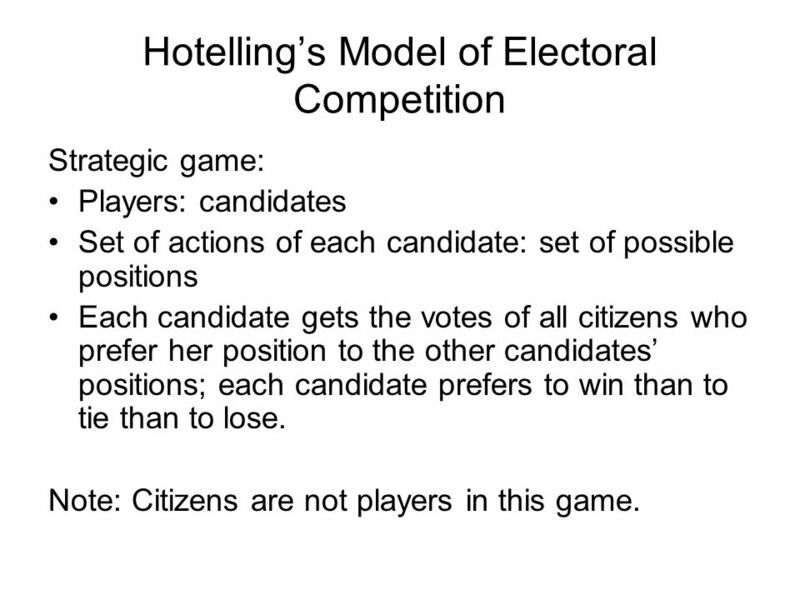 Strategic game: Players: candidates Set of actions of each candidate: set of possible positions Each candidate gets the votes of all citizens who prefer her position to the other candidates’ positions; each candidate prefers to win than to tie than to lose. Note: Citizens are not players in this game. Set of possible positions is a (one-dimensional) interval. Each voter has a single favorite position, on each side of which her distaste for other positions increases equally. 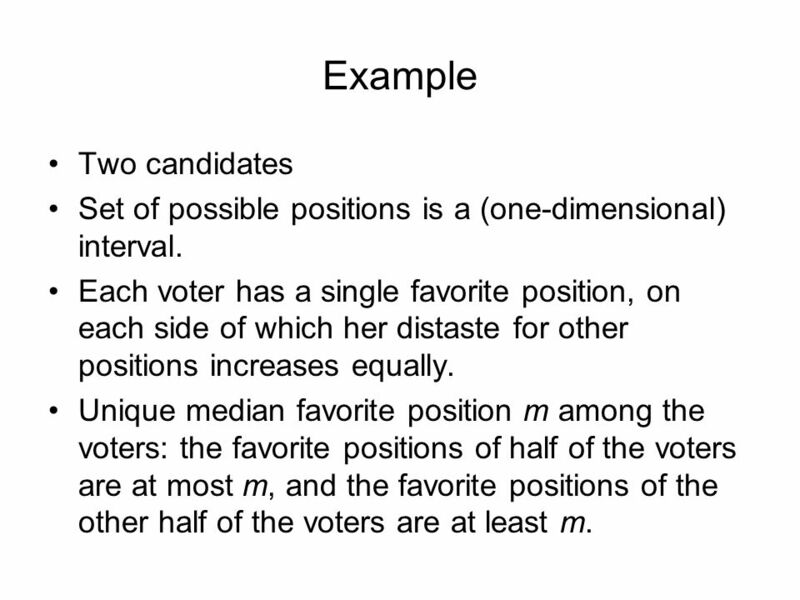 Unique median favorite position m among the voters: the favorite positions of half of the voters are at most m, and the favorite positions of the other half of the voters are at least m.
(m, m) is an equilibrium: if either candidate chooses a different position she loses. 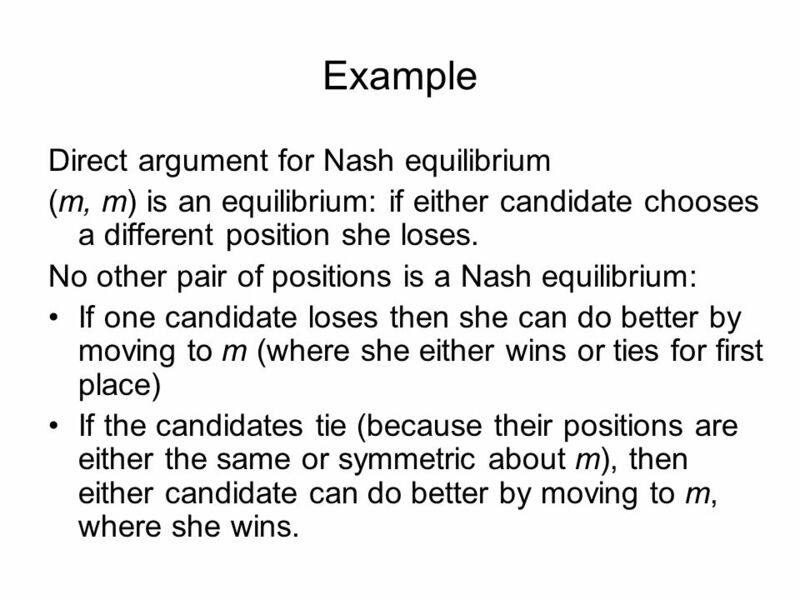 No other pair of positions is a Nash equilibrium: If one candidate loses then she can do better by moving to m (where she either wins or ties for first place) If the candidates tie (because their positions are either the same or symmetric about m), then either candidate can do better by moving to m, where she wins. E.g. two animals fighting over prey Each animal chooses time at which it intends to give up Once an animal has given up, the other obtains all the prey If both animals give up at the same time then they split the prey equally. 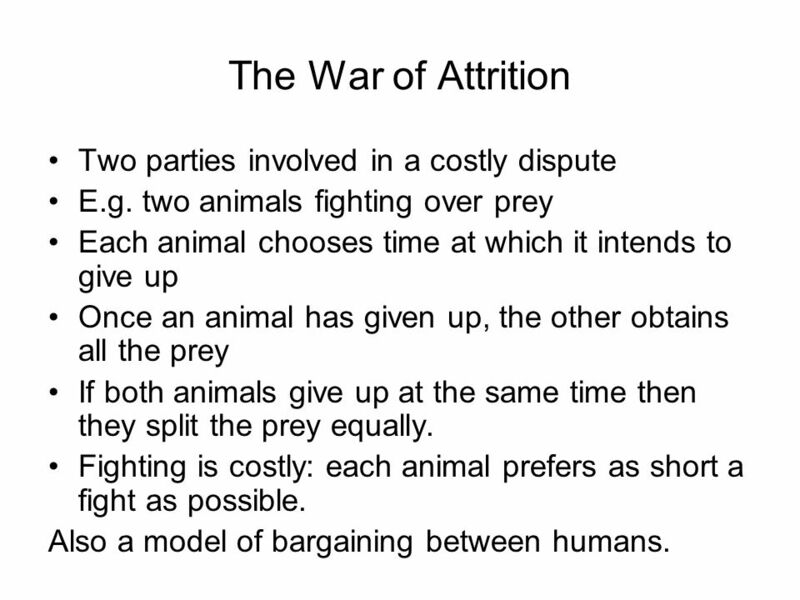 Fighting is costly: each animal prefers as short a fight as possible. 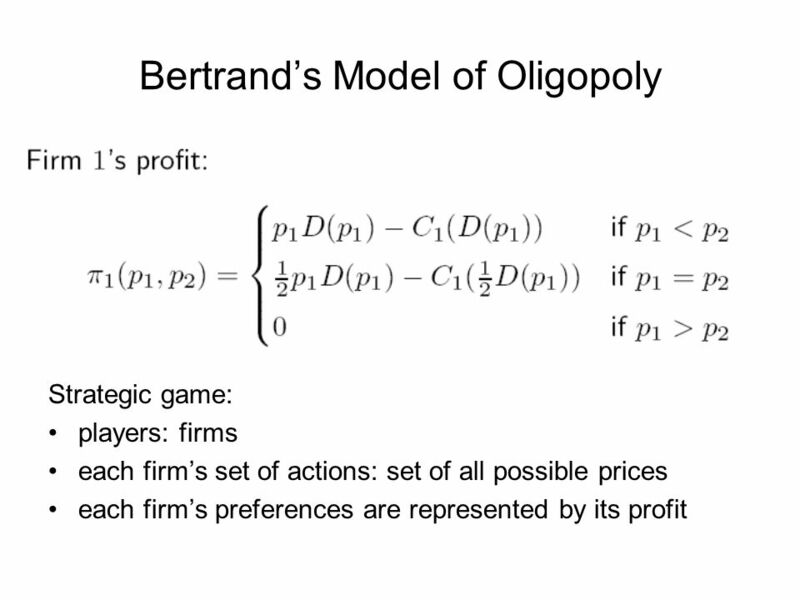 Also a model of bargaining between humans. 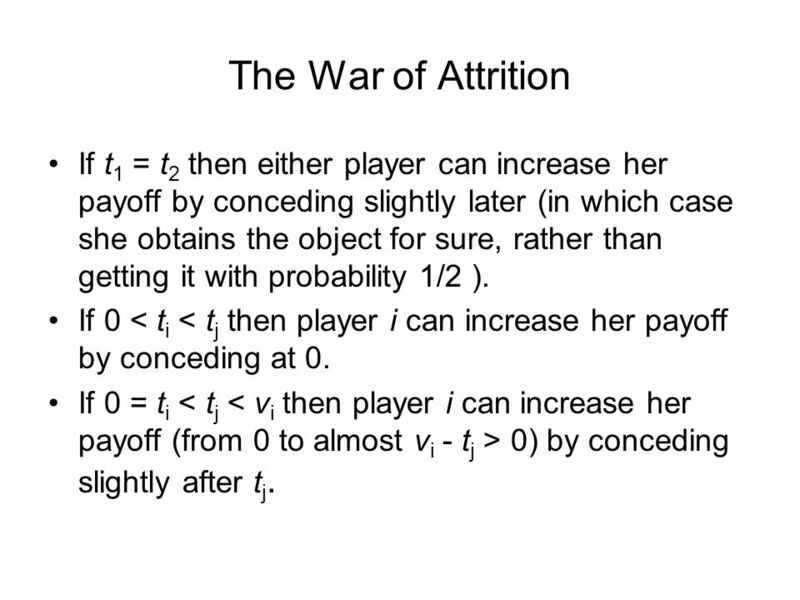 26 The War of Attrition If t1 = t2 then either player can increase her payoff by conceding slightly later (in which case she obtains the object for sure, rather than getting it with probability 1/2 ). If 0 < ti < tj then player i can increase her payoff by conceding at 0. If 0 = ti < tj < vi then player i can increase her payoff (from 0 to almost vi - tj > 0) by conceding slightly after tj. 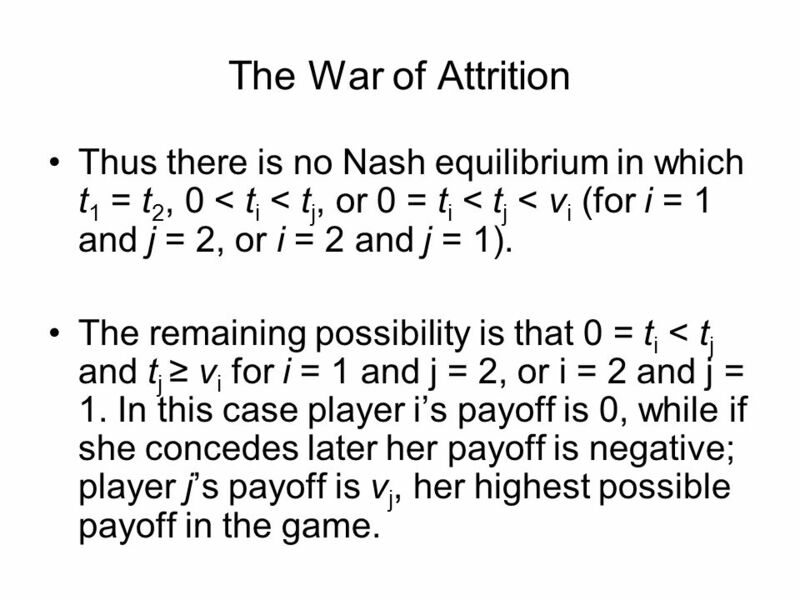 27 The War of Attrition Thus there is no Nash equilibrium in which t1 = t2, 0 < ti < tj, or 0 = ti < tj < vi (for i = 1 and j = 2, or i = 2 and j = 1). The remaining possibility is that 0 = ti < tj and tj ≥ vi for i = 1 and j = 2, or i = 2 and j = 1. In this case player i’s payoff is 0, while if she concedes later her payoff is negative; player j’s payoff is vj, her highest possible payoff in the game. 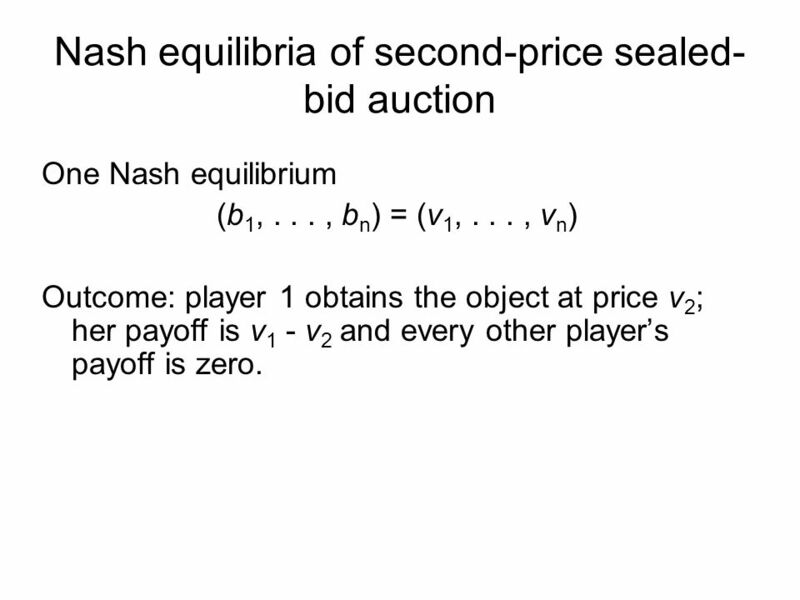 There is an equilibrium in which either player concedes first, regardless of the sizes of the valuations. 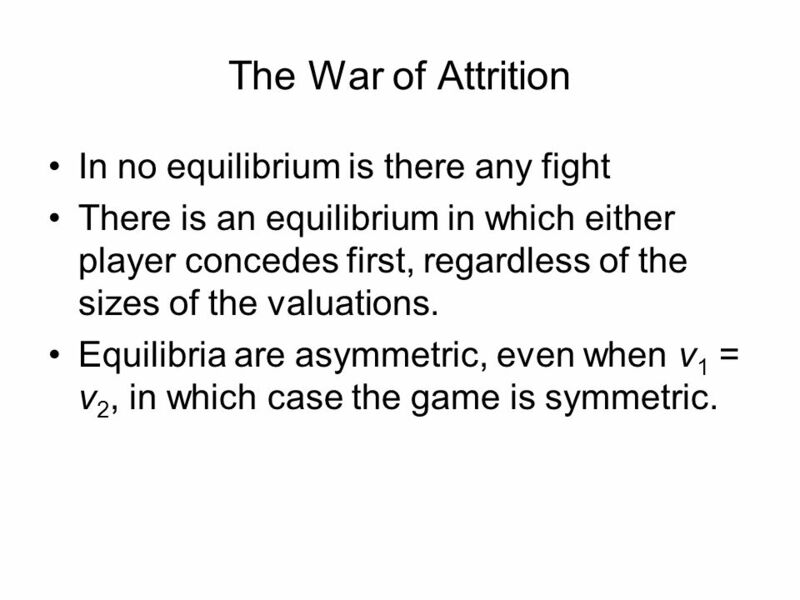 Equilibria are asymmetric, even when v1 = v2, in which case the game is symmetric. 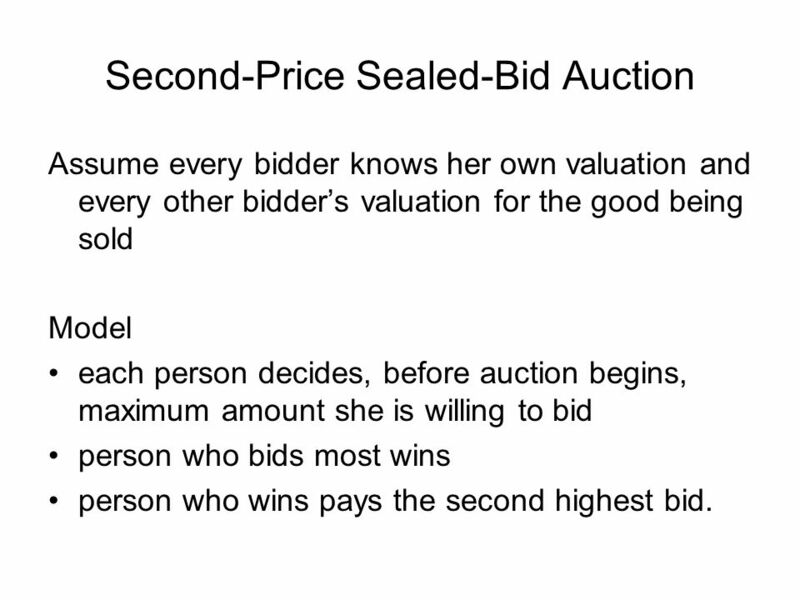 Assume every bidder knows her own valuation and every other bidder’s valuation for the good being sold Model each person decides, before auction begins, maximum amount she is willing to bid person who bids most wins person who wins pays the second highest bid. 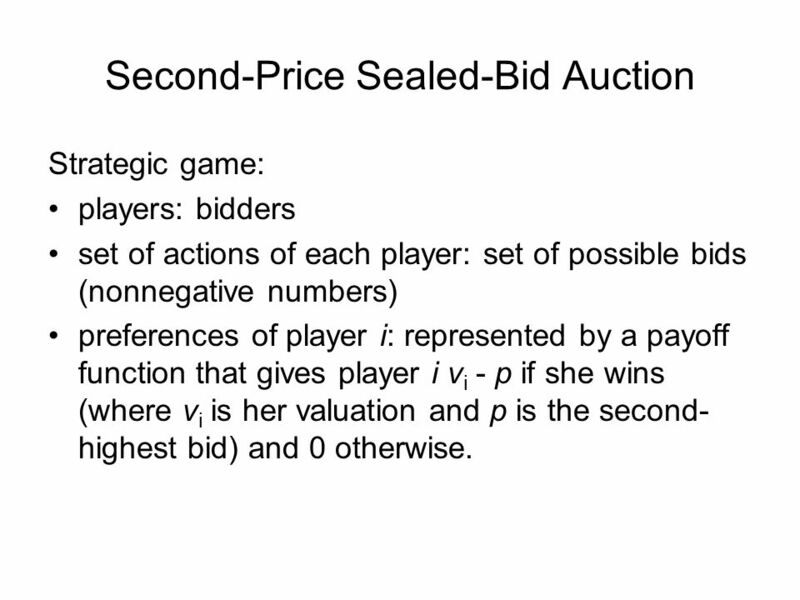 Strategic game: players: bidders set of actions of each player: set of possible bids (nonnegative numbers) preferences of player i: represented by a payoff function that gives player i vi - p if she wins (where vi is her valuation and p is the second-highest bid) and 0 otherwise. 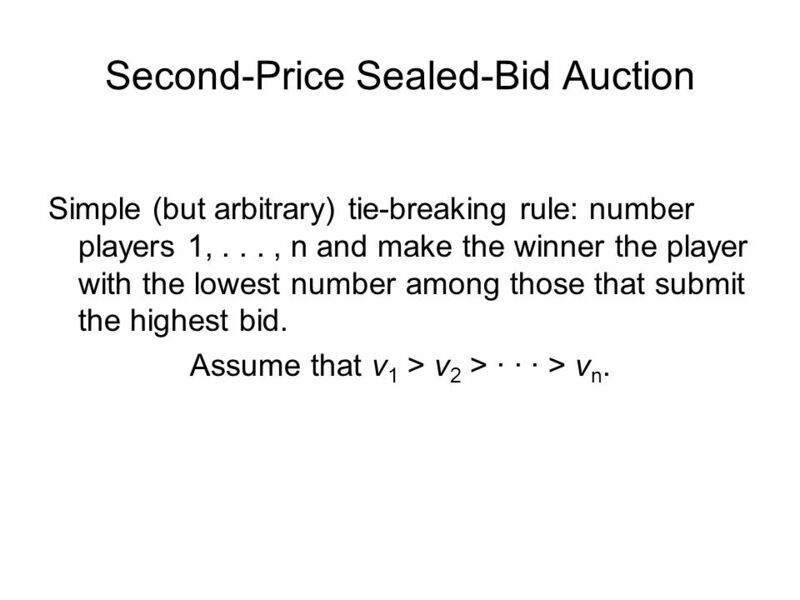 Simple (but arbitrary) tie-breaking rule: number players 1, , n and make the winner the player with the lowest number among those that submit the highest bid. Assume that v1 > v2 > · · · > vn. 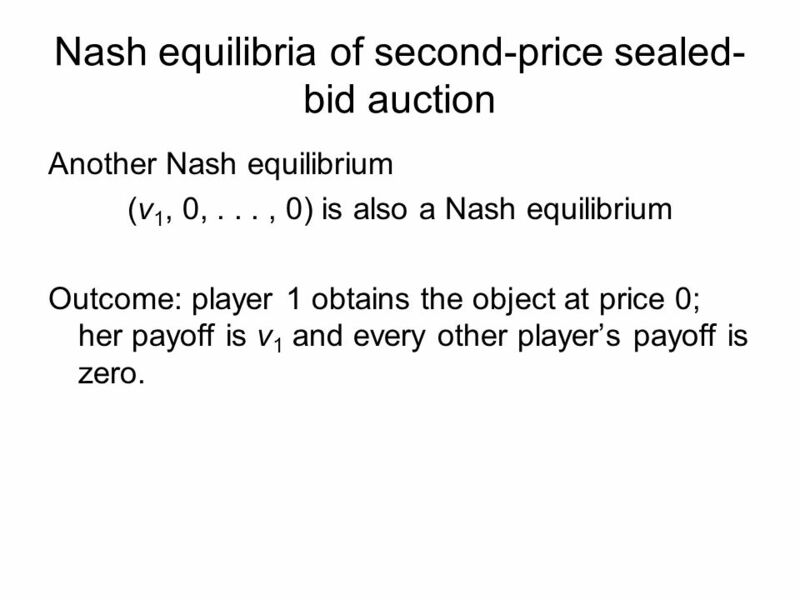 One Nash equilibrium (b1, , bn) = (v1, , vn) Outcome: player 1 obtains the object at price v2; her payoff is v1 - v2 and every other player’s payoff is zero. 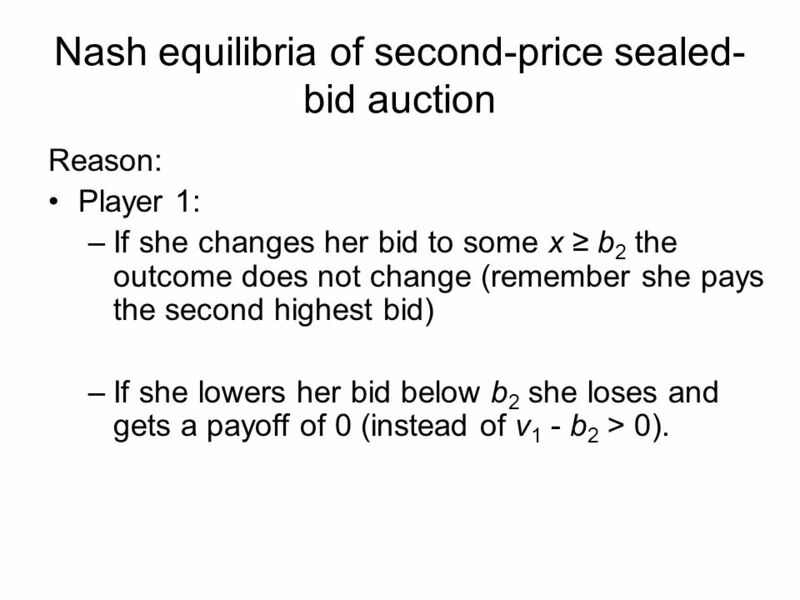 Reason: Player 1: If she changes her bid to some x ≥ b2 the outcome does not change (remember she pays the second highest bid) If she lowers her bid below b2 she loses and gets a payoff of 0 (instead of v1 - b2 > 0). 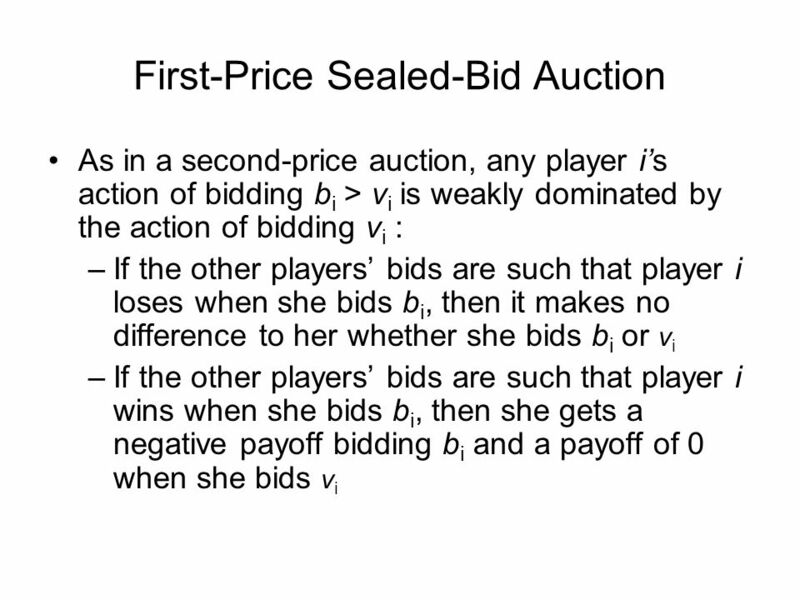 Players 2, , n: If she lowers her bid she still loses If she raises her bid to x ≤ b1 she still loses If she raises her bid above b1 she wins, but gets a payoff vi - v1 < 0. 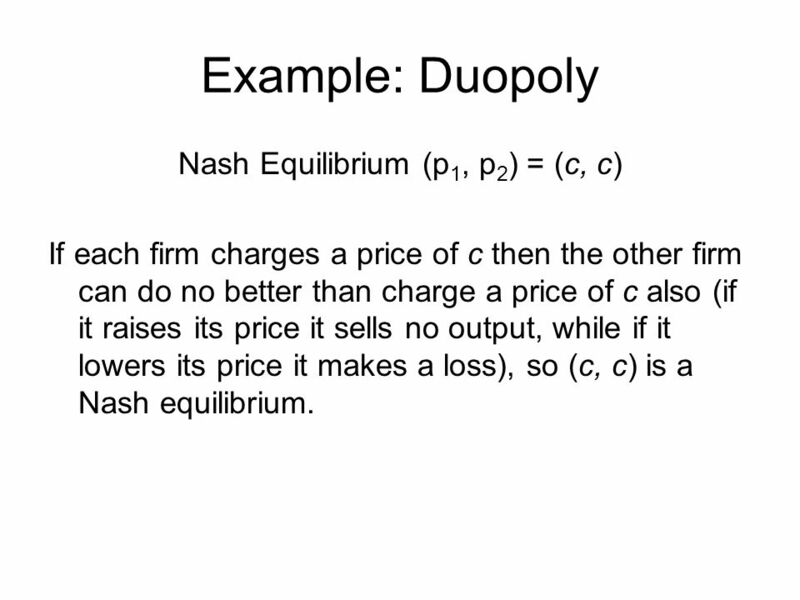 Another Nash equilibrium (v1, 0, , 0) is also a Nash equilibrium Outcome: player 1 obtains the object at price 0; her payoff is v1 and every other player’s payoff is zero. 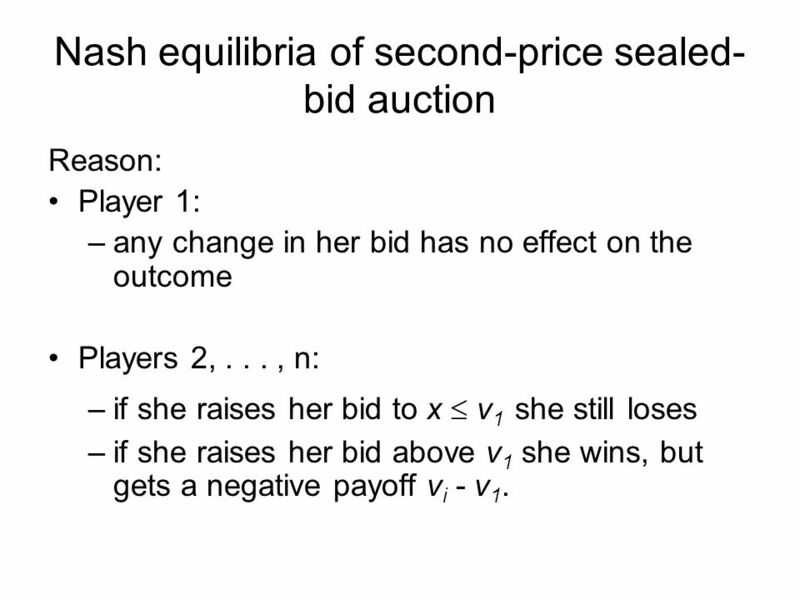 Reason: Player 1: any change in her bid has no effect on the outcome Players 2, , n: if she raises her bid to x  v1 she still loses if she raises her bid above v1 she wins, but gets a negative payoff vi - v1. 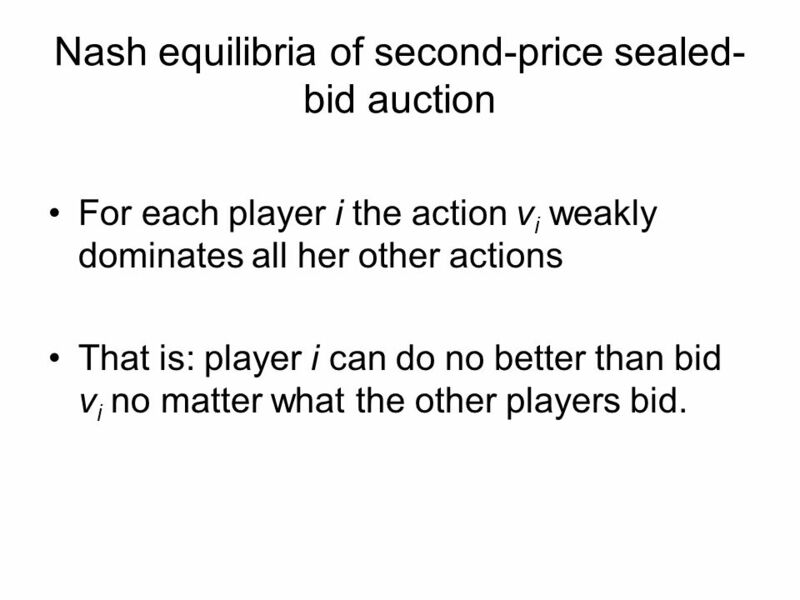 For each player i the action vi weakly dominates all her other actions That is: player i can do no better than bid vi no matter what the other players bid. 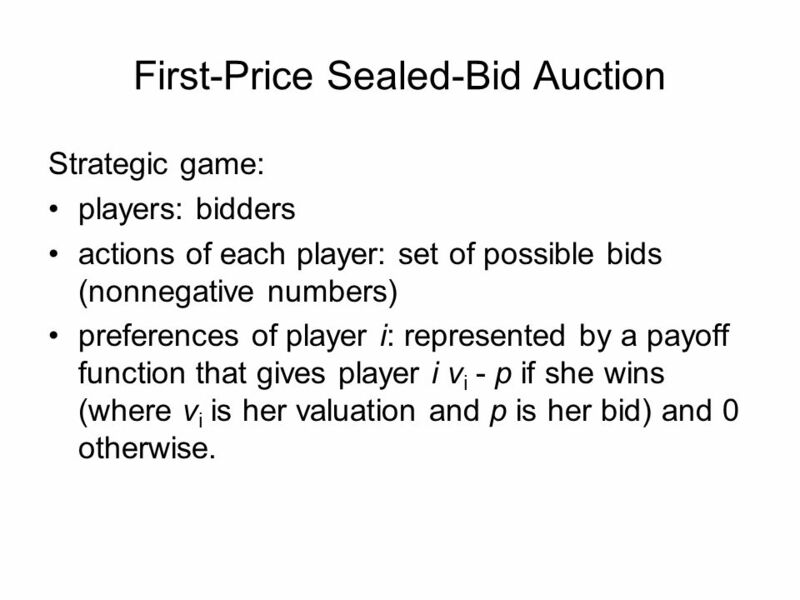 Strategic game: players: bidders actions of each player: set of possible bids (nonnegative numbers) preferences of player i: represented by a payoff function that gives player i vi - p if she wins (where vi is her valuation and p is her bid) and 0 otherwise. 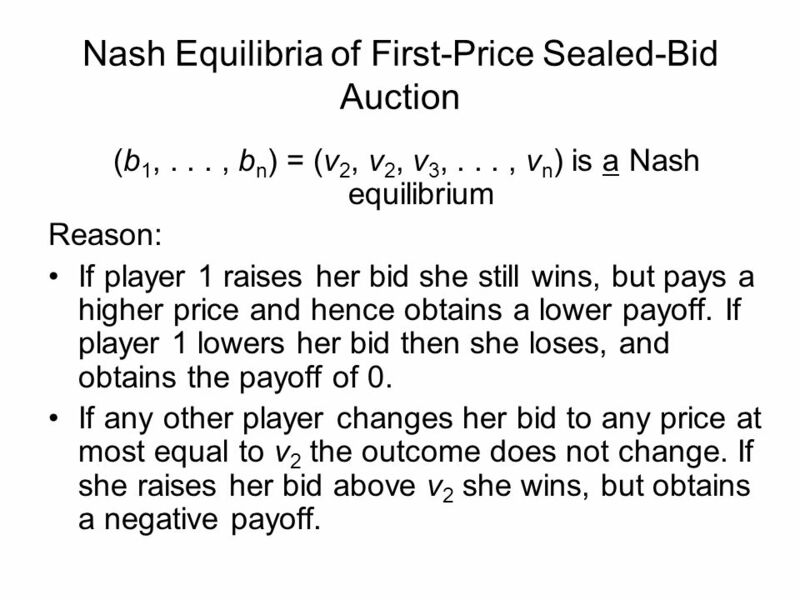 (b1, , bn) = (v2, v2, v3, , vn) is a Nash equilibrium Reason: If player 1 raises her bid she still wins, but pays a higher price and hence obtains a lower payoff. 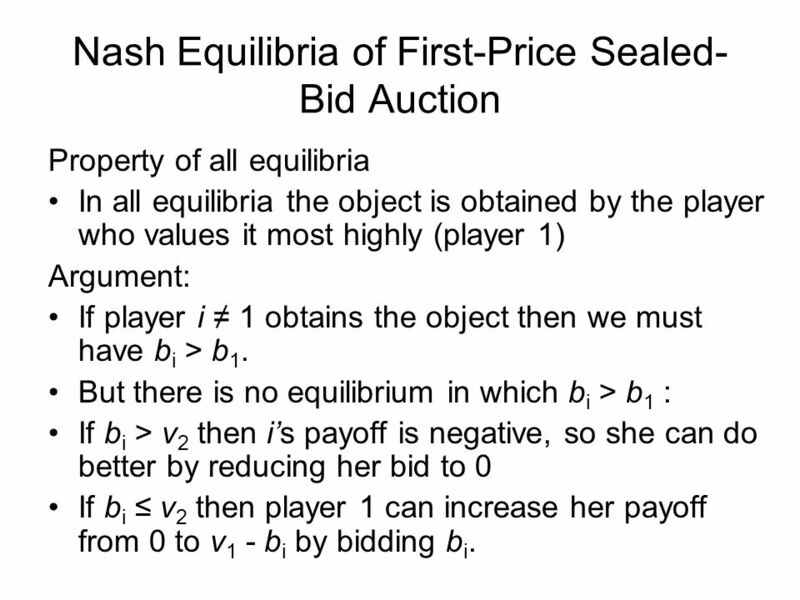 If player 1 lowers her bid then she loses, and obtains the payoff of 0. 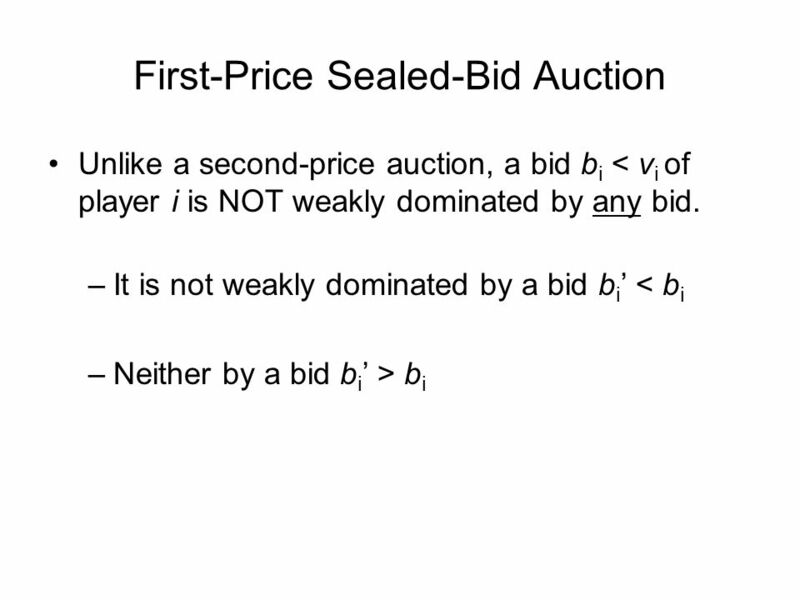 If any other player changes her bid to any price at most equal to v2 the outcome does not change. If she raises her bid above v2 she wins, but obtains a negative payoff. 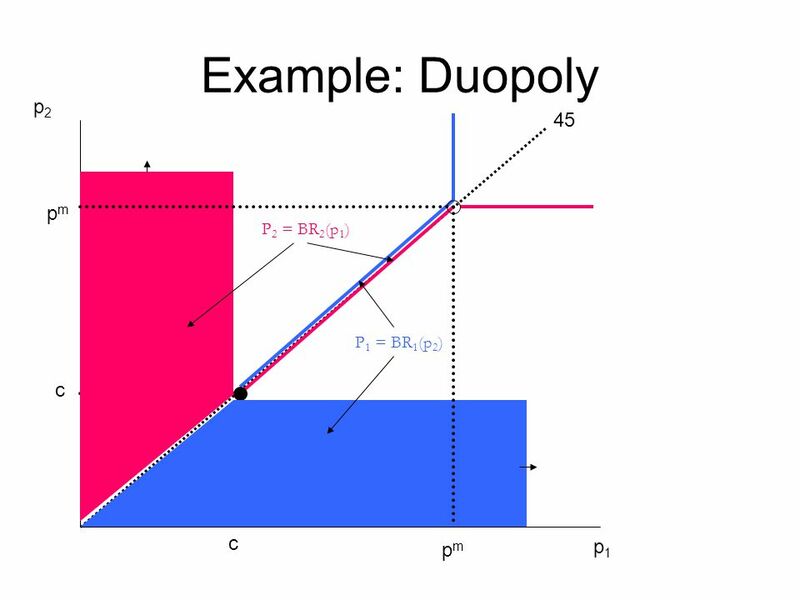 Property of all equilibria In all equilibria the object is obtained by the player who values it most highly (player 1) Argument: If player i ≠ 1 obtains the object then we must have bi > b1. 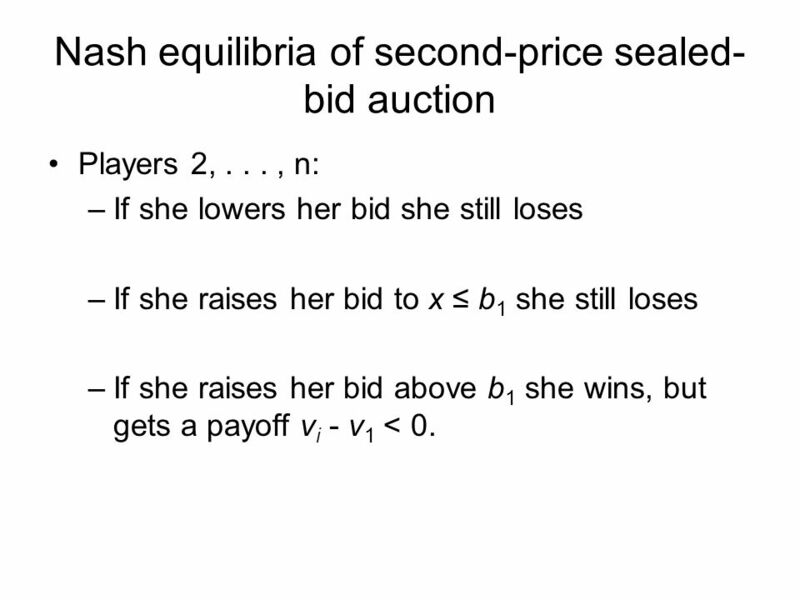 But there is no equilibrium in which bi > b1 : If bi > v2 then i’s payoff is negative, so she can do better by reducing her bid to 0 If bi ≤ v2 then player 1 can increase her payoff from 0 to v1 - bi by bidding bi. 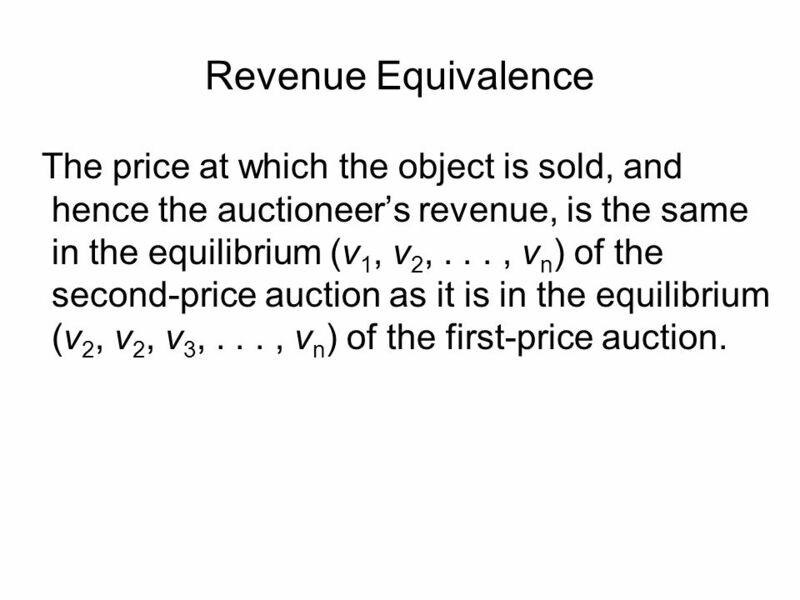 45 Revenue Equivalence The price at which the object is sold, and hence the auctioneer’s revenue, is the same in the equilibrium (v1, v2, , vn) of the second-price auction as it is in the equilibrium (v2, v2, v3, , vn) of the first-price auction. 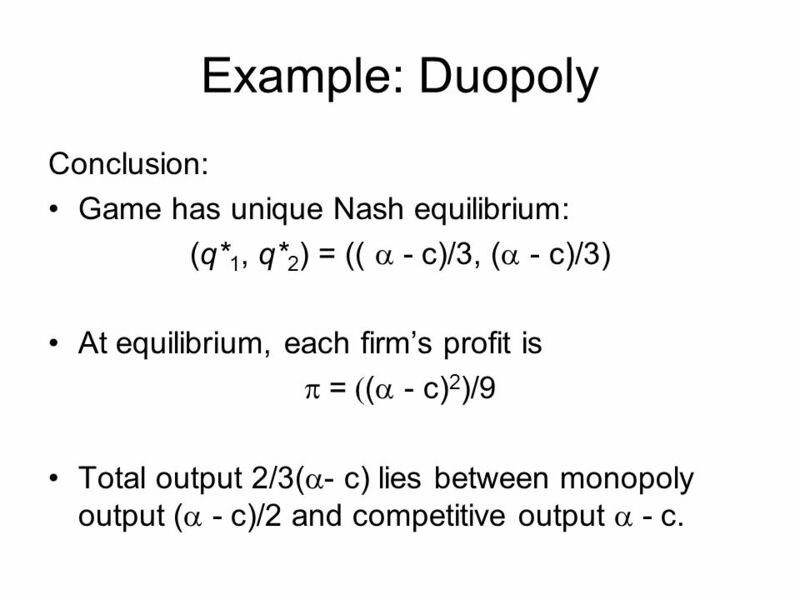 Download ppt "Nash Equilibrium: Illustrations"
Chapter Twenty-Five Monopoly Behavior. 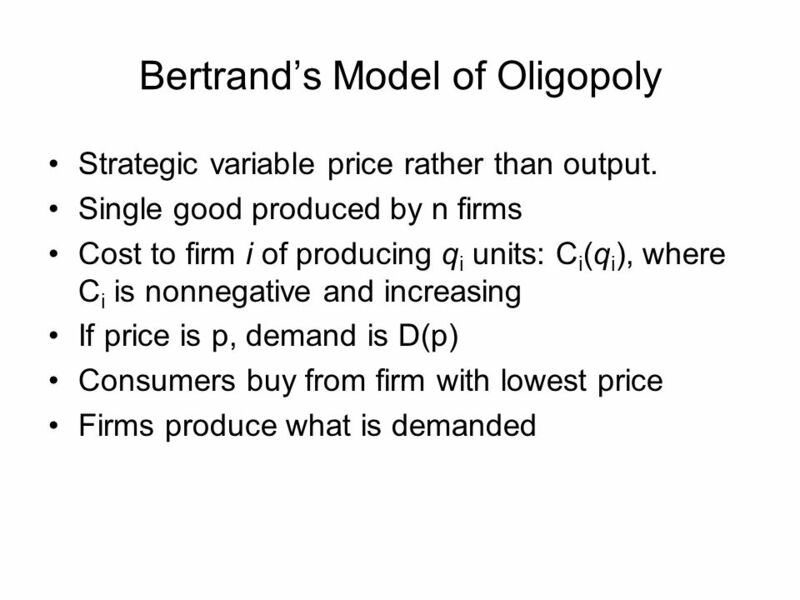 How Should a Monopoly Price? u So far a monopoly has been thought of as a firm which has to sell its product at. Oligopolistic Conduct and Welfare by Kevin Hinde. 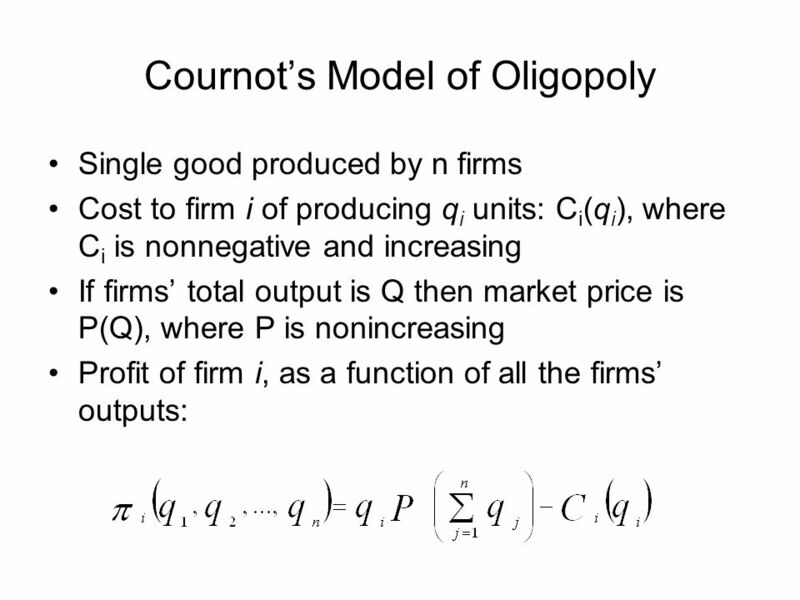 EC941 - Game Theory Prof. Francesco Squintani Lecture 4 1. 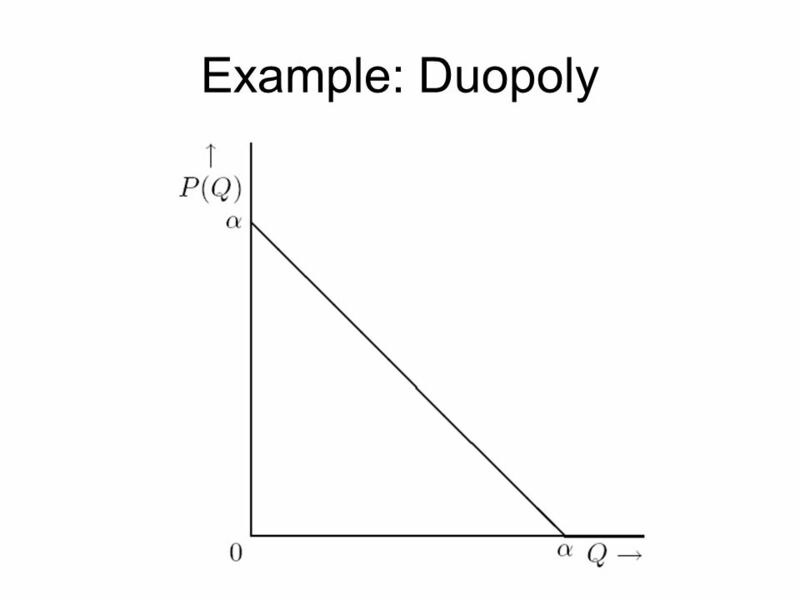 ECON 100 Tutorial: Week 9 office: LUMS C85. 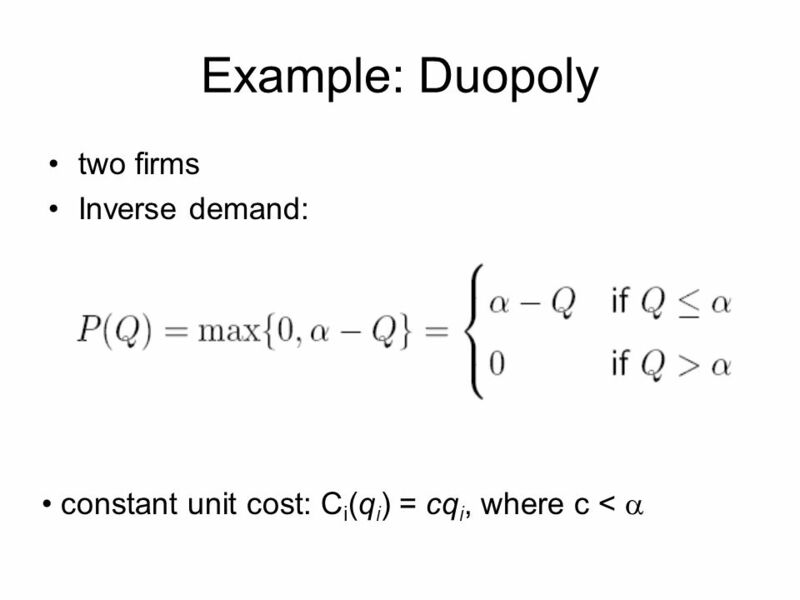 Copyright©2004 South-Western 16 Oligopoly. 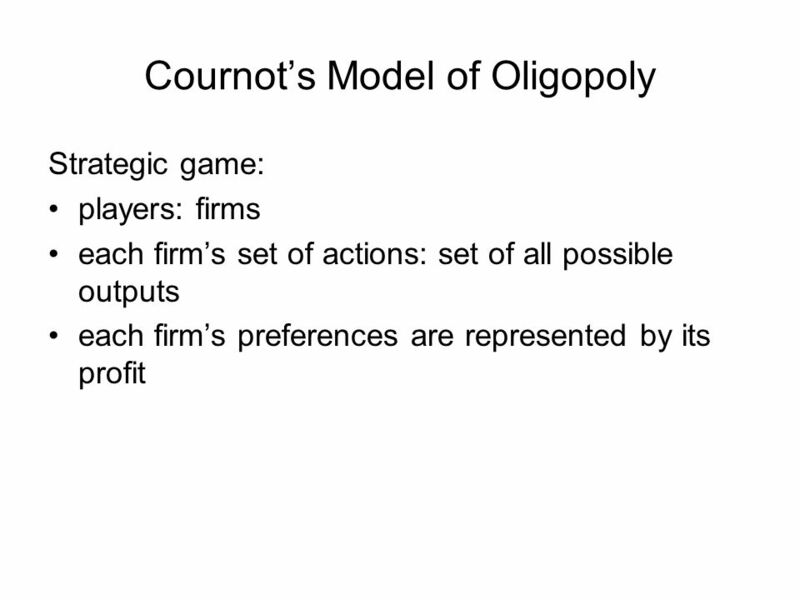 Copyright © 2004 South-Western What’s Important in Chapter 16 Four Types of Market Structures Strategic Interdependence. Auctions. Strategic Situation You are bidding for an object in an auction. The object has a value to you of $20. 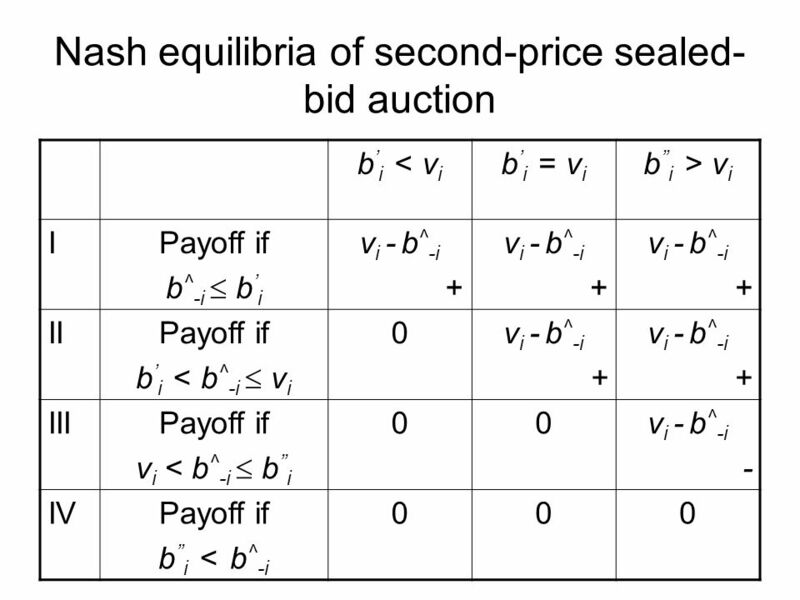 How much should you bid? Depends on auction. 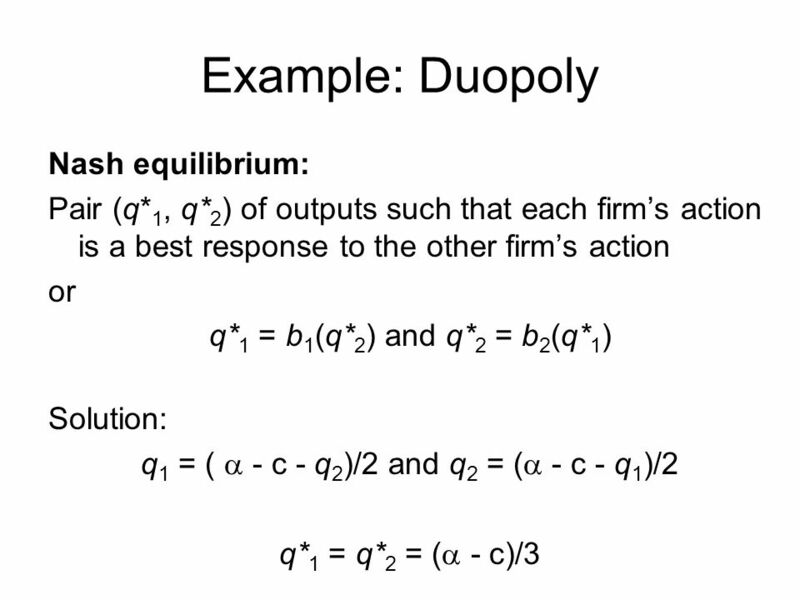 © 2009 Pearson Education Canada 16/1 Chapter 16 Game Theory and Oligopoly. 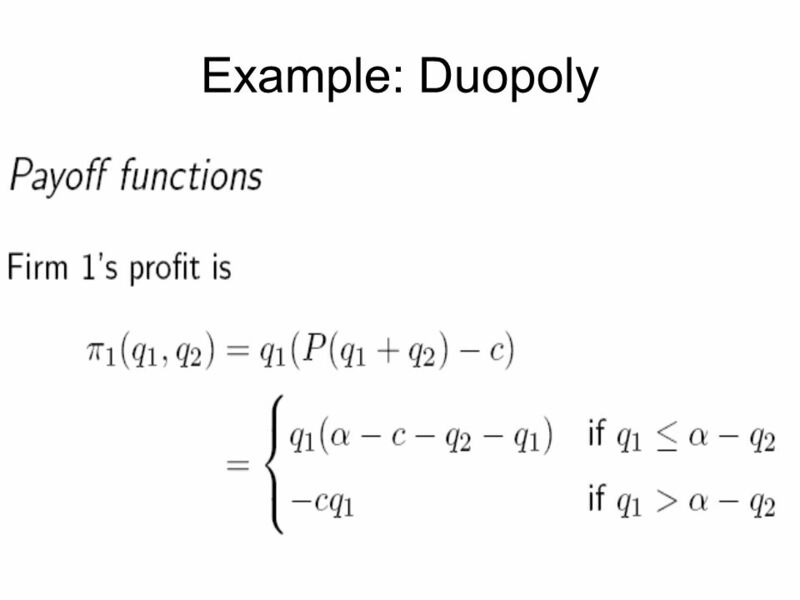 OT Anticompetitive consequence of the nationalization of a public enterprise in a mixed duopoly. 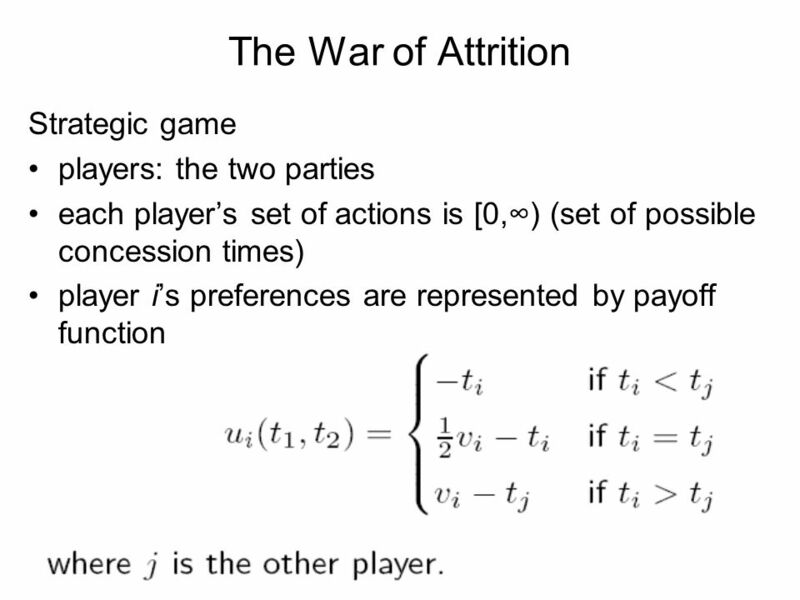 Game Theory: An Introduction Text: An Introduction to Game Theory by Martin J. Osborne. 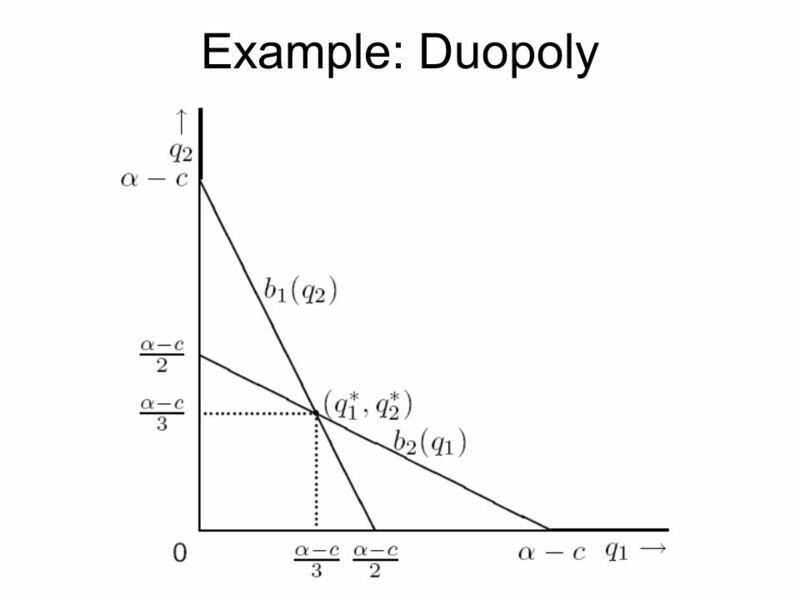 ECON 201 OLIGOPOLIES & GAME THEORY 1. 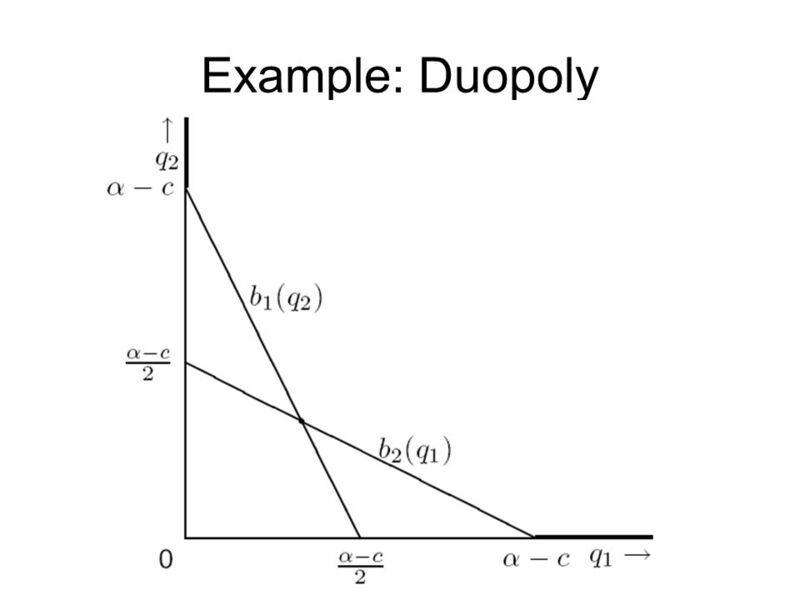 FIGURE 12.4 DUOPOLY EQUILIBRIUM IN A CENTRALIZED CARTEL 2. 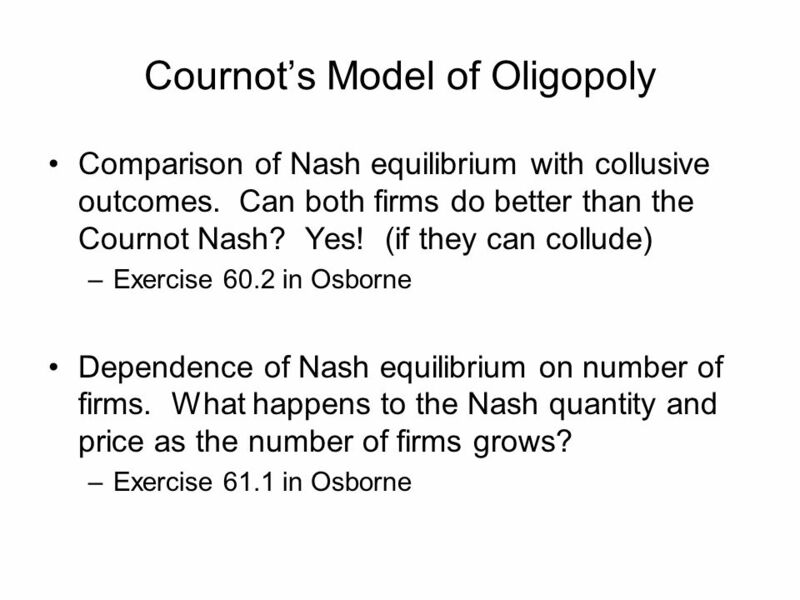 Copyright©2004 South-Western 16 Oligopoly. 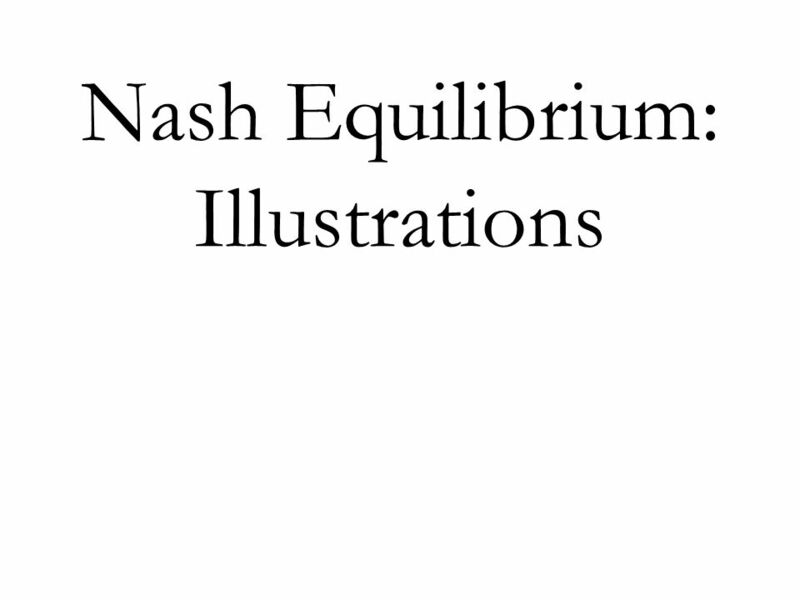 Copyright © 2004 South-Western BETWEEN MONOPOLY AND PERFECT COMPETITION Imperfect competition refers to those.